Dr. Ola Mahmood grew up in Baghdad, Iraq. She attended Dental College at the University of Baghdad but, due to circumstances there, she was unable to finish dental school at that time. 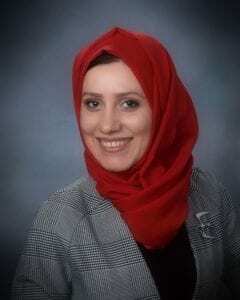 Dr. Mahmood fled to Egypt with her parents and sister where she continued to pursue her dream of being a dentist. She graduated from the Modern Sciences and Arts University in Cairo with a bachelor’s degree in Dental Surgery. The high level of insecurity and difficult situation in Iraq and Egypt did not stop Dr. Mahmood from pursuing her dream to become a dentist. In 2008, Dr. Mahmood was able to move to the United States with her family. 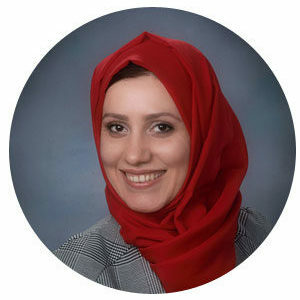 Through her determination and patience, Dr. Mahmood earned admission into Rutgers School of Dental Medicine in New Jersey where she was able to earn her Doctor of Medicine in Dentistry degree. Through thirteen years of pursuing her dream, she’s grateful for the support of her family and many other precious people in the United States. Dr. Mahmood feels a strong obligation to pay it forward to the community by providing the best dental care possible in thanks for all the support she received in achieving her dream. Her passion for dentistry came from her love of art and her skills in using her hands in a solid scientific discipline. Cosmetic Dentistry has emerged as Dr. Mahmood’s favorite branch of dentistry because she is able to join art and science to create a beautiful result. Dr. Mahmood is married to a great man and is the mother of beautiful twin girls. Her family is her support system and Dr. Mahmood endeavors to be a model for her daughters. She would love to teach them that life is not easy, but it is worth working hard to live it to the fullest. She speaks fluent Arabic and English and basic French. In her spare time, Dr. Mahmood enjoys spending time with family and friends, reading, practicing yoga, and helping those in need. Dr. Mahmood is a member of the American Dental Association and the Academy of General Dentistry. Would you like to become a patient? When we receive your information, one of our staff members will contact you to set up a specific appointment. 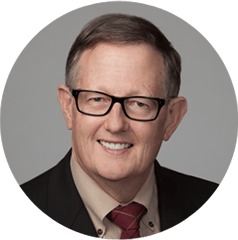 Dr. Potts attends over 100 hours of continuing education each year—six times what the state of Illinois requires. Since graduating from the Rutgers School of Dental Medicine, Dr. Mahmood has developed a passion for cosmetic dentistry.